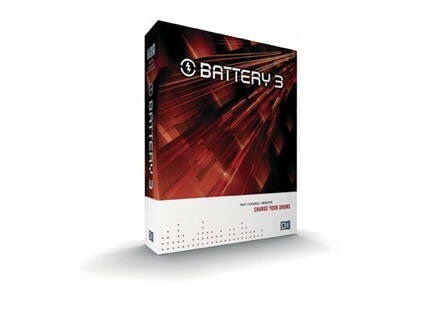 Battery 3, Virtual Drum/Percussion from Native Instruments in the Battery series. Product replaced by the Native Instruments Battery 4.
tarrtime's review"Don't forget about Battery"
Battery is a software application and plug-in that can be used as a stand-alone software instrument, or as a plug-in inside a DAW. Battery is a huge library of drum samples. This includes 'acoustic' sounds as well as 'synthetic' sounds. The synthetic drum samples include samples from analog drum machines and also sample from digital drum machines. There are also a large amount of pre-processed/treated/effected drum samples included if you don't want to spend the time to tweak raw or stale sounding drum samples. Battery can be purchased on its own from Native Instruments, however I received it as part of the Native Instruments Komplete Bundle. It can be downloaded off the NI website and installed. Authorization is completed using the NI Service Center application. Battery is really easy to use, mostly because it has one purpose - trigger drum samples. It is simple to load the included samples with Battery, and also load samples that weren't included in the library if you have some of your own that you would like to use. There is a lot of editing that can be done with the samples like: effects, adsr envelope, etc. One of the best effects is the 'saturation'. It is really useful for making the drum samples 'punch' in a mix. I have always wished that Battery included a sequencer for drum pattern editing. My wish came true with NI released Maschine, but I would have rather seen it included in Battery earlier. Having a library of patterns would have also been helpful. Native Instruments have clearly moved on from Battery to Maschine as their synth-drum software of the future. 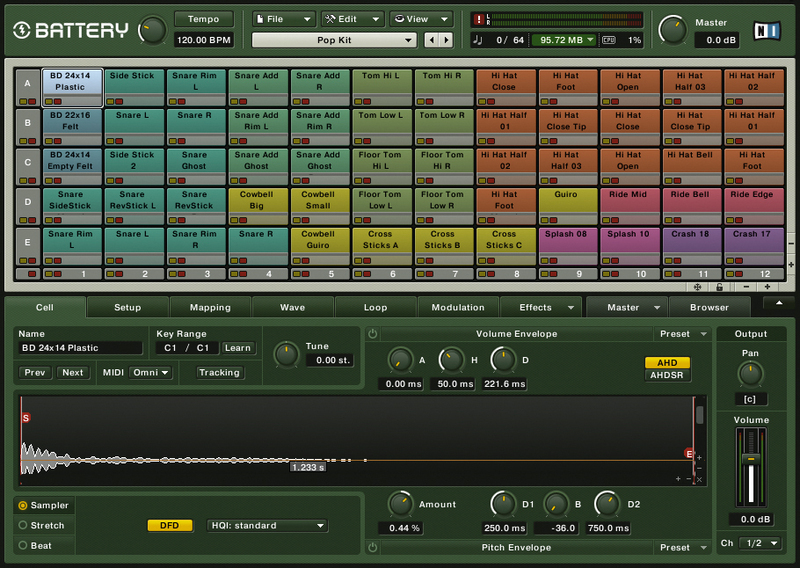 However, Battery has a lot to offer Komplete users that don't want to purchase Maschine. The classic synth drum sounds are all included (808, 909, Linn, etc) and there are plenty of unique sampled drums included as well. This library was really designed to compete with BFD2, Superior Drummer 2, Addictive Drumms, Steven Slate Drums, etc. You should look into the NI Studio Drummer Series if you want realistic multi-sampled drum sounds. Battery still gets use in my studio for layering individual drum samples. 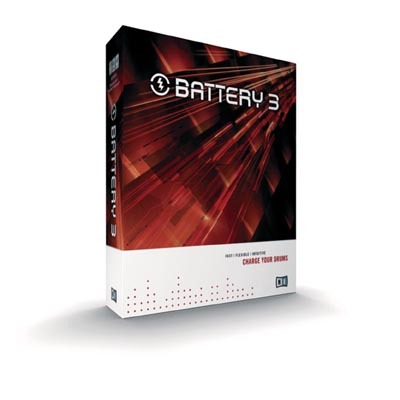 Native Instruments Battery 3 is compatible with Windows Xp , 7 and Mac, I haven't encountered any problems regarding the help manual, everything is pretty well explained and the functions are easily accessible. The general configuration is great,everything works fast and the interface is straight forwarded. The application performs well without using a lot of cpu resources and it provides some great balance between the human touch and the pc programming of the drums. The sampling engine has been changed and it has now a lot of improvements, the sample library is bigger and better, the matrix cells now can contain up to 128 patterns. The gear is very stable, as usual Native Instruments make a very good job. I've been using for about 2 months, and I gotta admit I like a lot, and I've been using in my electronic type of tracks and some that carry a rocky feel. What I like most about it are the new functions that consist of a humanise choice and a choice of drumming articulations. Battery 3 has also been given a visible renovation - the angular, medical look of previously variations is gone and now we have a Pro feel. With all of its new features I could claim that is one of the best drum programming soft now on the market, You should check it out, the humanize functions really make a difference, and My advice is to use a midi controller, because that way you have full control over velocity of your drums and layers. The precision of the drums is well fixed, I like the snares sounds, you can easily create some great layering with those 12 gb of drum samples, so using the Native Instruments Battery can really boost your creativity patterns. I would buy over and over again Native Instruments Battery 3 because of it's high quality samples and the help that provides to the musician. JeffTadashi's review"Huge library, most complete drum sampler!" Native Instruments Battery 3 is their flagship drum sampler, and it contains all sounds and samples from synthetic to acoustic, from rock to rap. It combines simplicity with complexity, and it a complete drum solution for almost any needs. Armed with over 12GB of drum samples, 100 professional drum kits, and a wide range of effects and features. The library contains electric kits as well as acoustic kits, and the acoustic kits sound very realistic. A snare sound, for example, is layers at different velocities with dozens of individual samples, and the sounds were recorded very professionally. I personal have used the Pop Kit's hi-hats, cymbals, kicks, toms, and snares numerous times, and the quality of the samples rivals those of Superior Drummer (a drum sampler made with realistic sounds in mind, only). You can easily make your own drum set, by using the individual cell library, Battery 3 compiles a mini-set of the best drum sounds, well organized and easy to find. This way, you can quickly browse various analog snag sounds, for example, as opposed to switching the entire kit and picking out individual sounds from that. You can also simply browse the samples with the built-in file browser, and the samples are well organized in folders. Be careful that the preview volume is not too loud, I find myself nearly blowing my speakers, since the volumes and velocities of the actual drum hits are usually turned lower. The samples are one thing, but the effects and other features are a whole other world. Battery 3 comes loaded with all the effects you could possibly need with drums, just short of amp distortion and cabinet emulation. It even comes with convolution reverb, alongside a regular algorithm reverb. This is nice, because the algorithm reverb is great for lightweight, low-cpu projects, where the convolution reverb has the better sound (with higher CPU usage). I find myself using the simple reverb most of the time, on snares and hi-hats. Other effects and features include a saturator, an inverter (or panning switcher), decimator, filters and eq, compression, velocity curves, articulations, looping, LFO, modulation, and much more. 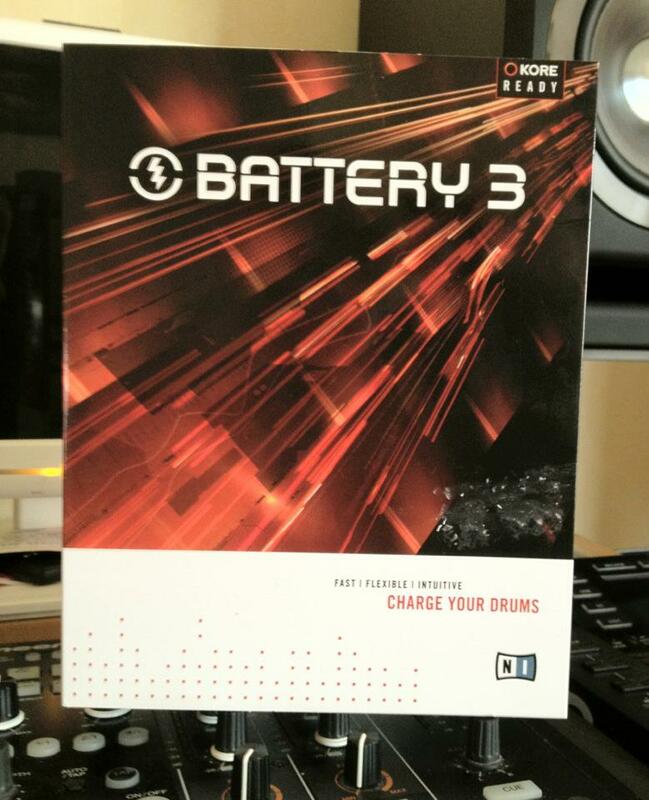 Overall, Battery 3 is a perfect product for a solution to almost all drum sampling needs. It has the depth and capability to work with just about any project! stompboxjon's review"ok in my book"
Native Instruments Battery 3 came out a while ago, I have upgraded several times since then. But as far as Batter 3 goes, it comes loaded with samples/sounds you can use right in your songs. There are a tone of kits that are available at the click of your mouse. Most of the sounds and kits I have never used and probably never will just because I have so many other drum programs that get the job done for me. Installing Batter 3 was easy, it didn’t take along at all and it doesn’t take up much of your cpu either. Getting to understand the program in depth may take a while though. It just seems like there are a lot of things that you can do but I didn’t take the time to learn them all and didn’t want to open up the manual. You can get by just buy messing around with stuff but in order to really know how to use everything you will need the manual or have to do a lot of trial and error. Some of the kits sound really good, and some not so good. I am not really a fan of most of the real drum kits because I have other plug ins that specialize in that but there are some good SFX and Beatbox kits that come with Native instruments battery 3 that you can have a little fun with. Most of the sounds do need to be eq’ed though and have a lot of unnecessary frequencies that aren't helping the sound at all. Overall, its decent. I say if you need something for drumming looking to addictive drums or a cheaper program like toontrack ez drummer if you are just looking for real drum sounds. 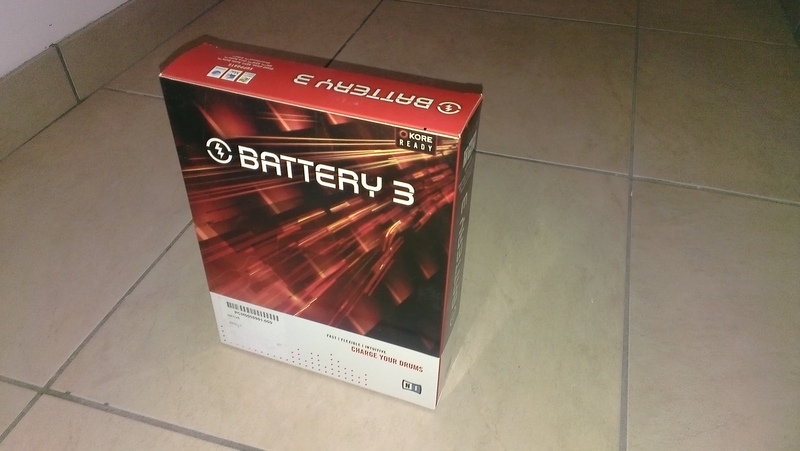 But if you want a wide array of sounds and effects and to have some fun you can go with battery 3. You will spend days going through all of the kits. But they kits don’t load instantly there is a few seconds of a load up time which can get annoying after a while. Native Instruments recently updated Battery to version 3.2.2.